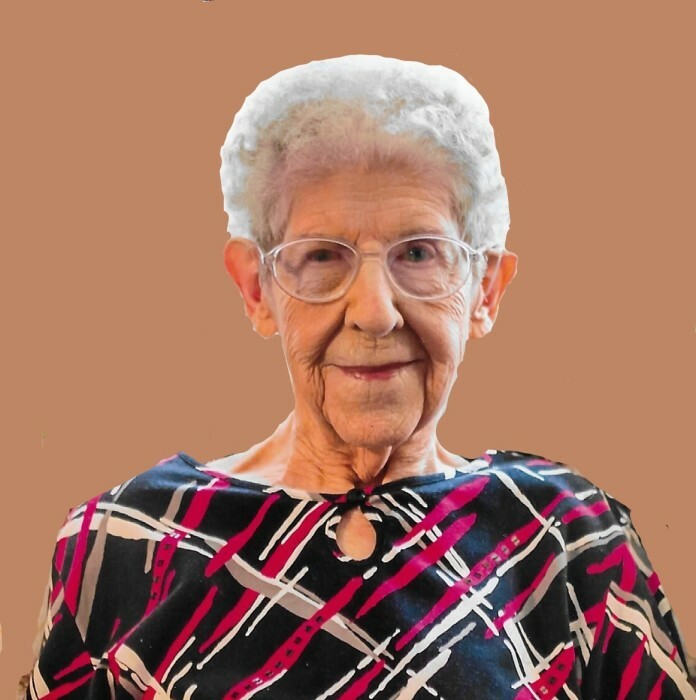 Edna Ellen Swift, 99, of Aurora, Indiana, passed away Tuesday December 4, 2018 in Lawrenceburg, Indiana. She was born April 2, 1919 in Switzerland County, Indiana, daughter of the late Clarence A. Heath and Mary (Givens) Heath. Edna was a member of Ebenezer Baptist Church. Her faith was very important to her. Edna attended a weekly Bible Study and was active in the Women's Missionary Group. In her younger years she helped with cleaning and any other needs that the church had. Edna loved to play pinochle, work cross word puzzles, and she was an avid reader. She was a Red's fan, an IU Hoosiers fan and a UC Bearcats fan. Her most valuable possessions were her Lord, family, church family and friends. Edna is survived by her children, Wayne L. (Cheryl) Swift of Aurora, IN, Kathy A Scudder of Aurora, IN, Karen S. (Dexter) Caudill of Milan, IN; 11 grandchildren, and many great-grandchildren. She was preceded in death by her parents, loving husband, John D. Swift, son, John M. Swift; brothers, Warren, Russell and George Heath, and sisters, Mildred Hayes and Betty Miller. Friends will be received Friday, December 7, 2018, 11:00 am - 1:00 pm at the Rullman Hunger Funeral Home, 219 Mechanic Street, Aurora, Indiana. Services will be held at the Funeral Home, at 1:00 pm with Pastor Tommy Fehrman officiating. Contributions may be made to Shop with a Cop or the Clearing House. If unable to attend services, please call the funeral home office at (812) 926-1450 and we will notify the family of your donation with a card.